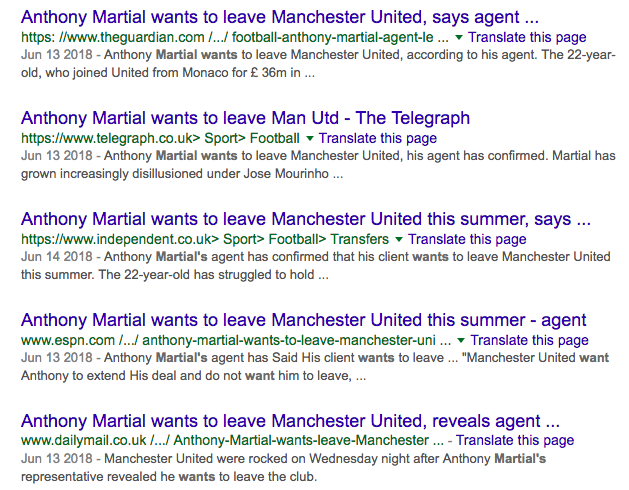 Is Anthony Martial leaving Manchester United? The media don’t know. Here are some scoops from the past few days: “Jose Mourinho still believes he can be a star,” says the The Sun (July 22); “Fed-up Jose Mourinho is ready to let whingeing Anthony Martial leave Manchester United,” says The Sun (July 23); “Anthony Martial has put Chelsea on alert – because he plans to defy Manchester United and stay in England,” says The Sun (July 25). Today’s Sun tells us Martial “has left Manchester United’s pre-season tour to.” Why? He’s left “to join girlfriend Melanie Da Cruz ahead of imminent birth of son”. We don’t know why Martial was looking at renting a flat in Manchester. Maybe his in-laws are coming to stay and he didn’t want them in the mansion? Was the mansion on sale? No. Is Jose Mourinho leaving United because he still lives in a hotel? No. Is Martial house hunting in London or Milan No. 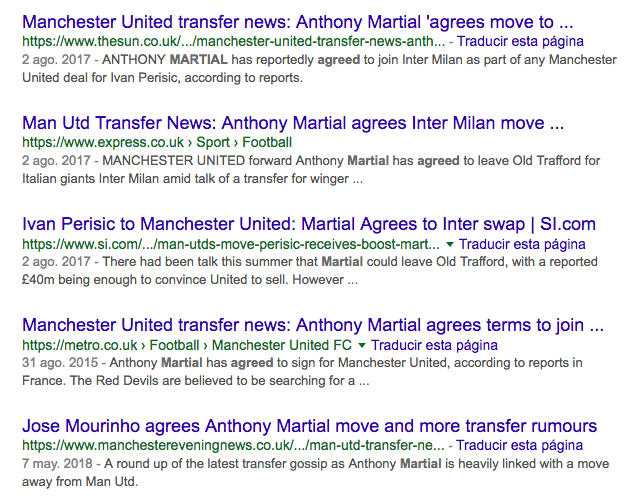 Does the Sun know what Martial plans to do? No.